In addition to calendars, the company’s core business also includes books. The full-service graphic arts operation, which was founded in 1989 with three employees and now has a staff of 250, offers pre-press, printing and print finishing services. Dimograf produces 18 million softcover and hardcover books each year. “Because print runs are falling and deadlines are becoming shorter and shorter, book production is increasingly being shifted to Europe – and we are benefiting from this trend as well,” says Chairman of the Board and majority shareholder Dariusz Mrzygłód. The new BF 530 bookline continues a long tradition at Dimograf of using machines from Kolbus and Muller Martini. In order to keep up with the rising volumes and simultaneously increase productivity and improve the quality of the books, Dimograf has replaced an older BF 511 with a comprehensive new BF 530 bookline with an automatic RF 700 book block feeder and backgluing and backlining machine, an FN 720 fold-pressing machine, an LE 660 ribbon inserting machine, an HD 143.P three-knife trimmer, a shrink-wrapping machine, a DS 392.A book stacker and a Pluton palletizer. “We have long had good experiences with Kolbus booklines and were very satisfied with the support offered by the Muller Martini sales team during the evaluation phase for the new equipment,” says Dariusz Mrzygłód, explaining his latest investment decision. According to the company head, the BF 530 really reveals its flexibility when it comes to print runs. At Dimograf, these start at 300 in the hardcover area and can reach more than 200,000, with an average of 2,500. So quick setup times for smaller jobs are essential as is stable production for long print runs. “The BF 530 is optimal for our product range,” says Dariusz Mrzygłód. 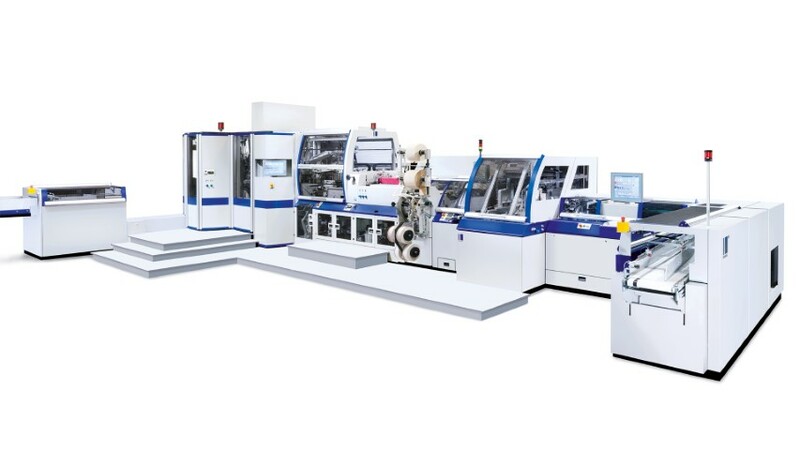 The new bookline continues a long tradition at Dimograf of using Kolbus and Muller Martini machines – the Polish company now has two BF 512s, a KM 600 perfect binder and a Pantera perfect binder, a Collibri backgluing machine and a Presto saddle stitcher.